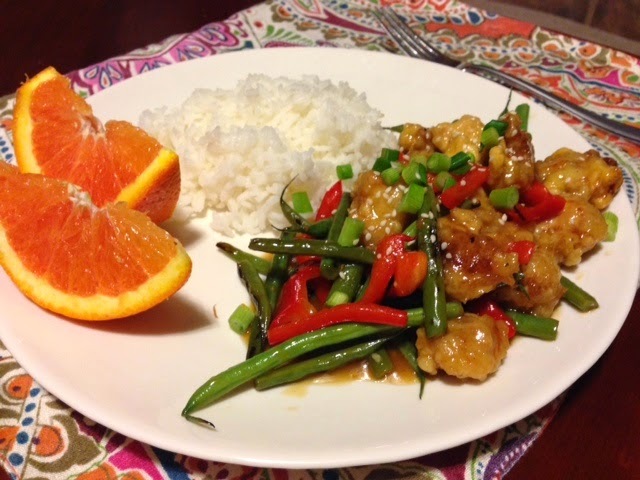 Orange Chicken inspired by Damn Delicious. I followed the recipe pretty closely, but cut the sugar in half and used less than half of the sauce for the marinade, so I'd have more sauce for serving at the end. 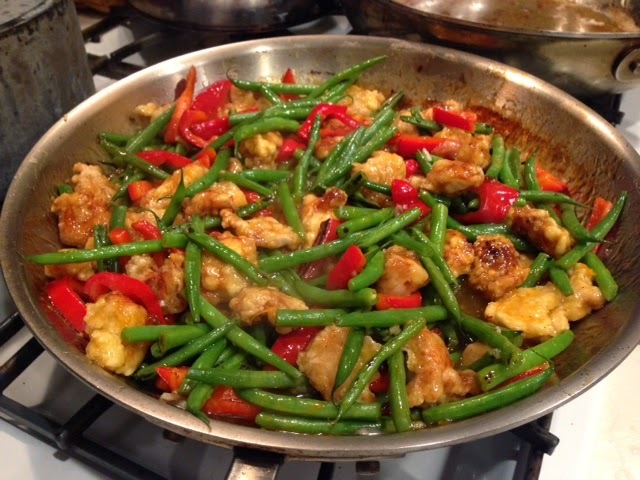 It was a 10-dish preparation that included two frying pans, one pot and a juicer, but man, this orange chicken turned out fabulously. Next time, I'll skip the "breading" and frying, since it didn't turn out very crispy anyway, but the flavor is spot on.